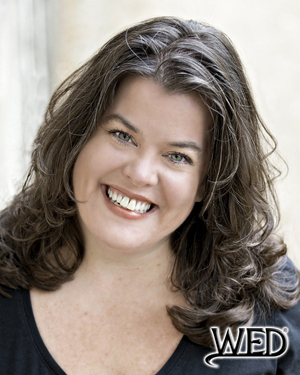 In 2007, Elisabeth became the first female to earn the title of “Wedding Entertainment Director” and now proudly sits on the Board of Directors and serves as President and Executive Director of The Wedding Entertainment Directors Guild. In 2010, Elisabeth achieved the advanced designation of “Accredited Bridal Consultant”, of which there are only 50 in the country, through the Association of Bridal Consultants, the oldest and largest association for wedding planners. Peter Merry has been a mobile entertainer for over 20 years and is one of the most sought after Wedding Entertainers in the United States. 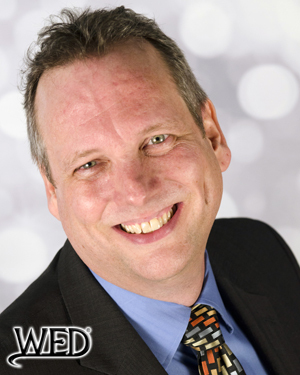 He is the founder of the WED Guild and published author of “The Best Wedding Reception…Ever!” , available in bookstores everywhere. Peter served as the national President of the American Disc Jockey Association from 2003-2004 and was the inspiration for “The Peter Merry Leadership Award”, given each year since his retirement to outstanding members within the ADJA. A tireless advocate and outspoken supporter of the Mobile DJ Industry, Peter has presented over 130 seminars covering 15 topics in 40 states, Canada and The Bahamas. He has presented alongside Preston Bailey, Sasha Souza, David Tutera, Colin Cowie, Kathy Ireland, Susan Southerland, Andy Ebon, Mary Dann,Barbara Wallace, Carley Roney, Jane Dayus-Hinch,Donnie Brown and the inimitable Grace Ormonde! If you are looking to hire the best entertainment money can buy, then choose the man who literally wrote the book on wedding entertainment! Peter Merry has a full calendar of speaking engagements, workshops and weddings. However, his travel schedule allows for a few limited engagements in Virginia, Washington DC, Maryland, New Jersey and New York.